Jaguar, maker of the world’s most advanced and classic feel cars. Just like the car itself, the store architecture emphasizes style, efficiency and performance. When the cars are beautiful, the showroom was created to be an experience, where the intended rawness of the space counterpoints the sleek refinement of the cars. We have reconstructed the entire building as well as it’s surrounding to adhere to these principles and values of the brand. It is a specialized metalworking, bulk and non-standard metal products factory. The building consists of 3 storey administrative building which is distinguished by aluminum façade showcases, and a production body with 30 m long, 40-tonne cranes. A sophisticated air filtration system is designed in the manufacturing workshop. It is a factory for oral hygiene, hair, face and body care products. The building is designed as one volume, which consists of modern administrative spaces, production and warehousing, utilities space. The central axis of all the building is the inner recreational green yard for workers and visitors. The main facade is a combination of green glass, wood and concrete. The factory has designed a new generation of heating and ventilation system, and provides secondary use of production heat in the administration, thus saving heating costs. Designed solar roofing, as well as gutter wells for cooling and heating. The building is designed as an A ++ energy class. 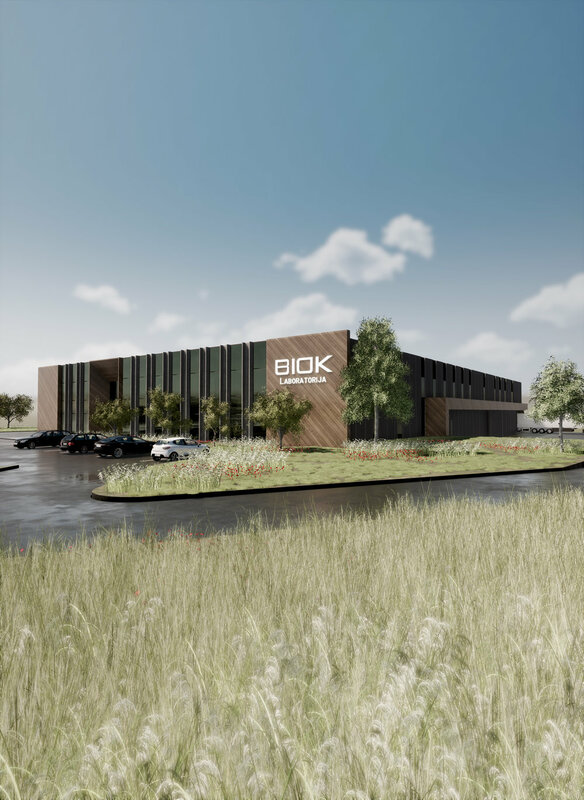 It is a reconstruction project of an existing building, completely replacing the existing exterior of the building, expanding the building and upgrading the engineering systems. 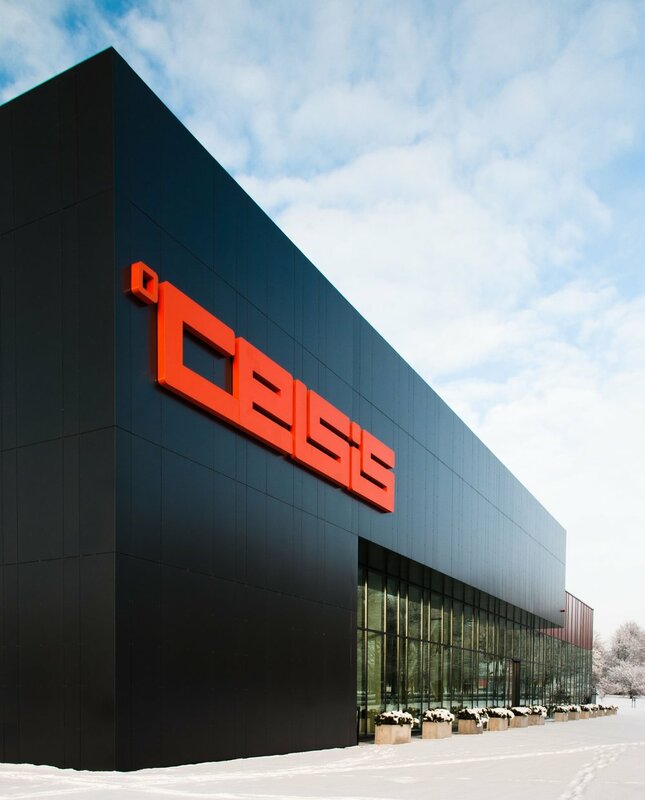 Designed by Celsis store technology, the project has modern and intelligent solutions for heating and ventilation, conditioning and plumbing. Trust manufacter produces welding, dyeing, and other processing of steel and stainless steel pipes. The building is designed in 3 stages of construction - the first stage of the construction of an administrative block. The administrative housing is designed for five floors, with large display windows and controlled blinds. Intergrated smart ventilation system in the building, 20 t wall and bridge crane.